An evergreen investment platform dedicated to investing in leading techstyle startups internationally to create the future of techstyle. We are excited for the opportunity to invest in the future of techstyle and we look forward to working with the entrepreneurs who are ready to join us on this journey. noI do not agree to the use of my personal data for direct marketing. By submitting this application, you acknowledge that you have read and you accept the Terms & Conditions. 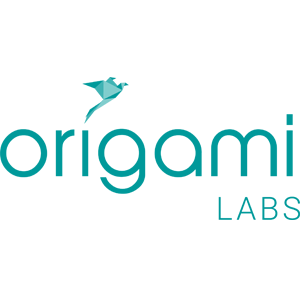 10th December 2018 – Nan Fung Group’s “The Mills Fabrica Fund” is excited to announce its new investments in Origami Labs (ORII) and Unspun, leading a $1.5M USD Series A investment in ORII and a $600K USD Seed investment in Unspun. Fabrica Fund was set up in Jan 2018 as a new platform to invest in entrepreneurs innovating to create a techstyle future. This includes innovators creating wearables and products merging with technology & style (like ORII), and innovations for supply chain/ new retail experiences (like Unspun). ORII is a HK based wearable technology company, focusing on products used for interfacing with voice assistants with applications in both B2B and B2C. 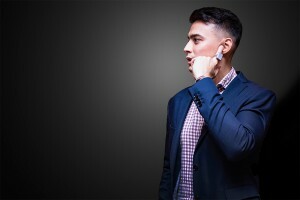 By wearing their ORII smart ring, customers can hear clear audio while listening to text messages via bone conduction in our ears; as well as send out communication through the ORII smart ring to voice assistants be it sending text or talking to voice assistants. Last year, ORII successfully launched at Kickstarter with over $300K secured (10 times of the original pledge goal) within 30 days of launch; they were also the 1st HK company to be in the Top 5 of the TechCrunch Disrupt SF 2018. Well received by the market, large-scale local telecommunication companies and global hospitality groups have been in partnerships with ORII. 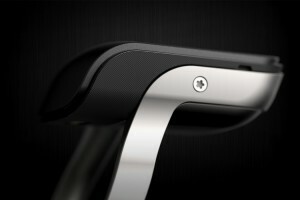 The new funding will be used to scale up ORII’s B2B business and R&D of its next generation products, also utilizing bone-conduction technology. “We are delighted by the The Mills Fund investment as a continuation of the vibrant partnership we’ve developed since we first met in 2016. The Mills team were early believers of our vision to build “screen-free” technology and they have proven themselves to be valuable strategic partners for us at each step of the way. Their investment will accelerate our expansion in global markets and the development of new and exciting products. And we believe that with this deeper partnership, together we will can bring homegrown techstyle brand and innovation to make true impact on the global stage.” from Kevin Johan Wong, CEO and Co-founder of Origami Labs (ORII). 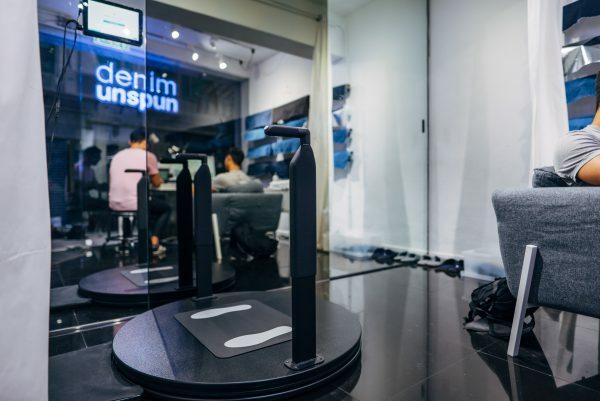 Unspun is a fashion technology company based out of both Hong Kong and San Francisco, building the next generation of production-on-demand technology for fashion, beginning with denim jeans. Their mission is to reduce global carbon emissions by at least 1% through 3D automated weaving technology and proprietary software to make customized apparel. The company was one of the winners of the 2017 Global Change Award by H&M Foundation; they also received support from Cyberport and the National Science Foundation. This December, the team officially launched their first flagship store in SF. This seed investment will support Unspun’s growth in global brand partnerships, accelerating the industry’s adoption of on-demand technologies and the continual development of 3D weaving machine. “The Mills and the Fabrica team have worked tirelessly to provide us with advice and services customized to our needs. They also connected us to major global fashion brands and industry partners. We are excited that this investment will enable us to scale our sustainable supply chain and to commercialize our 3D weaving technology.” said Mr. Walden Lam, Co-Founder of Unspun. ORII and Unspun are both existing incubatees of The Mills Fabrica. Designed as a 12-month incubation programme, Fabrica provides customized support for both companies that included helping to increase their brand exposure through global showcases and product launch events, connecting both companies to other corporate partners and investors and also helping with other business & legal advisory support. With the official opening of The Mills, both companies have moved their HQ offices into The Mills, also gaining access to Fabrica Lab’s prototyping facilities. In addition, Unspun will be launching their flagship pop-up store in Hong Kong at Techstyle X Store – an experiential retail space for Fabrica’s community of innovators. To further engage with the global startup ecosystem, the two companies will be showcasing with Fabrica at StartmeupHK Festival 2019 – TECH[LIFE]STYLE Conference on Jan 22, one of the largest annual startup conferences co-organised by InvestHK, The Mills Fabrica and Startup Launchpad. With the closing of the investment, The Mills Fabrica is excited to be joining the board of directors of both companies. “Fabrica Fund supports the growth of leading techstyle startups in the world. We are very excited to invest in ORII and Unspun, two strong innovators who are merging with Technology & Style making daily living smarter and better especially for sustainability. With the opening of The Mills, I believe we can better support other up-and-coming techstyle startups in the community to co-create a techstyle future.” said Ms. Vanessa Cheung, Group Managing Director of Nan Fung Development Ltd. & Founder of The Mills. “Fabrica Fund is very excited to lead the investments in ORII and Unspun, our incubatees, and help them scale their business to next levels. Over the past year, we witnessed both ORII’s and Unspun’s strong visions in innovation & sustainability for techstyle and have been working extensively with them through our incubation to take their technologies to market and expand their brand globally. With the closing of the investment, we are looking forward to continue our shared journey with them in creating their success stories globally.” from Mr. Alexander Chan, Co-director of The Mills Fabrica. Fabrica Fund seeks to invest in companies creating the future of techstyle and is looking forward to work with more companies in the coming year. By end of 2018, Fabrica Fund is expected to announce two more exciting investment deals. 25th January 2018 – Nan Fung Group’s “The Mills Fabrica Fund” is excited to announce the completion of our first investment in leading techstyle social commerce platform Goxip. Officially launched in December 2017, Fabrica Fund focuses on investing in and supporting the growth of techstyle startups (at the intersection of technology and style) that are either disrupting, creating or enabling 1] improvements in materials/ supply chains/ production processes, 2] new wearable products merging technology with design and 3] new models of retail such as in e-commerce. To that end, Fabrica Fund is excited to have closed a $1M USD investment in leading social commerce platform Goxip’s latest Series A Round fundraising ($5M USD in total). 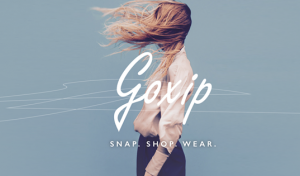 Goxip is an online social commerce platform which combines fashion and beauty products from different online retailers, targeting at fashion lovers and bloggers. Goxip allows users to search for similar products from its database using smartphone camera or online photos and to purchase those products right away through recommendations on Goxip’s platform. Specifically, it allows fashion and beauty lovers to buy similar items that celebrities or key opinion leaders (KOL) wore by identifying similar products/ brands and the corresponding online sales channels for users..
Goxip was previously a winner at RISE in 2015 and raised a $1.6M USD seed round from Ardent Capital, which became one of the Southeast Asia’s largest seed round fundraisings. Founder and CEO of Goxip, Juliette, is a dynamic techstyle entrepreneur with a successful track record in driving multi-million dollars sales growth at e-commerce platforms and running startup businesses successfully. All the companies she had worked for/ founded (uBuyiBuy, LivingSocial, Cdiscount) had achieved 10+ times sales growth in less than a year – in particular, she was involved in Cdiscount Thailand’s (part of CNova) $2.3Bn USD IPO (Nasdaq CNV) in November 2014. “The launch of Fabrica Fund enables us to better support and accelerate the growth of leading techstyle startups in the world. We are excited at closing our first investment in Goxip whom we believe to have strong potential in expanding globally and in changing the retail model in fashion and beauty. We hope leading techstyle entrepreneurs like Juliette can continue to inspire other up-and-coming techstyle startups in the community, especially in Hong Kong.” said Vanessa Cheung, founder of The Mills. “We are tremendously excited and honoured to be the first techstyle investment funded by The Mills Fabrica Fund. We are overjoyed to share the same visions with Vanessa and wanting to make Goxip a fashion and beauty Google – having shoppers search anything about fashion and beauty on Goxip and be able to shop from all the international retailers and brands around the world on a single platform. I truly believe that not only Goxip, but also other emerging techstyle startups and the fashion industry in Hong Kong will definitely benefit from The Mills’ massive support. With our coming expansion into Southeast Asia, we will continuously disrupt the fashion and beauty commerce space and keep growing into a fashion and beauty monster.” said Juliette Gimenez, CEO of Goxip. Goxip plans to use the current investment to focus on further expanding their team in Hong Kong as well as to continue their expansion into Southeast Asia, particularly in Thailand. The company is targeting to double its 2017 GMV to achieve 100 millions HKD in sales for 2018 and to continue to inspire and build a new model of fashion and beauty commerce. Since its official launch last month, Fabrica Fund has received over 30 different fundraising enquiries and is currently in process of evaluating other potential deals for investment. The investment platform would continue to source and invest in leading techstyle startups such as Goxip with the aim of pushing “techstyle” as a new model and accelerating the growth of techstyle innovations globally. Goxip is an online shopping platform which combines fashion and beauty products from different online retailers, targeting at fashion lovers and bloggers. The Company partners with over 500 international online retailers including NET-A-PORTER, ASOS and Harrods, etc. With more than 36,000 luxury brands and 5 million items in Goxip’s database, online shoppers can easily search for their ideal products by text, categories and images. The Mills is a landmark revitalization project by Nan Fung Group, a celebration of shared industrial legacy with Hong Kong, and a step towards a future of applied creativity and innovation. Announced in 2014 by Nan Fung Group on its 60th anniversary, The Mills project will transform and revitalize the company’s former textile factory into a destination for innovation, culture, and learning. The Mills is composed of 3 pillars, each contributing a unique perspective and experience. The Mills is targeted to open in 2018. The Mills Fabrica is a business incubator, fund and springboard for techstyle startups and strategic partners — companies at the intersection of technology and style. Fabrica is dedicated to establishing Hong Kong as the best place in the world to build a brand or technology business. Fabrica Incubator takes onboard startups with great potential and puts them through an intensive program of self-improvement, practical business guidance, and marketing exposure. It will occupy the main floor in Fabrica’s workspace area at The Mills upon completion in 2018. The Mills Fabrica Fund is a newly launched evergreen VC focused on investing in global techstyle startups. Fabrica Fund seeks to invest in leading techstyle entrepreneurs creating the techstyle model of the future. The investment platform is set up as an evergreen VC backed by the Nan Fung Group and is also supported by The Mills Fabrica’s incubator and community. Investments will focus on global techstyle startups from seed to Series B (with investment amount ranging from $100K USD to $2M USD). Nowadays, it seems like launching a new VC in Hong Kong has become the trendy thing to do. From the government’s ITB to Alibaba to many other corporates/ investors, the Hong Kong startup scene has seen a good growth of venture capital supporting the sector. This week at The Mills Fabrica, we are proud to say that we too are launching our very own “Fabrica Fund”. You may well wonder if there really is a need for yet another evergreen VC. At The Mills Fabrica, we strongly believe that the techstyle industry requires a techstyle-focused evergreen VC for Hong Kong and the world. Let us tell you why. 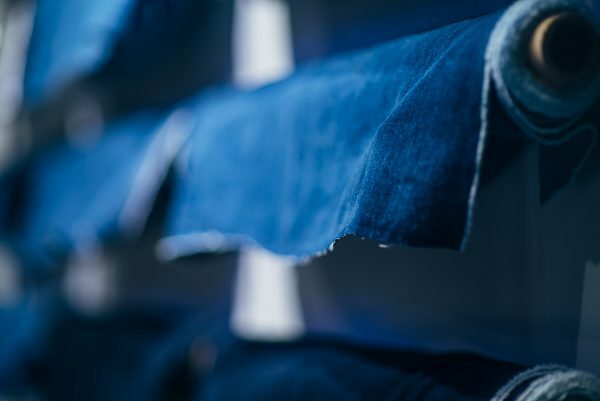 The past few years have seen the textile/wearable industry on the edge of disruption with trends of new ecommerce models, advanced textile manufacturing and IoT innovations helping to reshape a sector that has always been adverse and slow to change. With that being said, The Mills Fabrica sought to create and define a new space that we call “techstyle”. Fabrica’s incubator has worked side-by-side with 8 leading techstyle startups guiding and watching them take techstyle forward as an model. Just as they have developed and evolved their business models, we too have grown and learnt from the process as we better understand their needs and how best to support them. We have recognized that within the techstyle space, many leading startups like our incubatees have reached a stage where they would benefit from venture capital to further accelerate their growth. Therefore we believe that setting up an investment platform will facilitate techstyle’s growth through our investments where the returns can be reinvested to grow the community. You may then ask, why must Fabrica itself start a investment platform, couldn’t we have relied on other investment platforms out there? In general, we see 3 issues that our techstyle startups face today when they are fund raising. First, there are very few dedicated techstyle-specialized investment platform out in the landscape. Second, relatedly few traditional VCs can provide dedicated support as investors, given the lack of specialization on techstyle. Third, corporate VCs in the industry tend to consider investments more from an M&A perspective. With that frame in mind, Fabrica Fund is set up to be a dedicated investment platform focused on techstyle startups where we believe that we can value-add from the industry expertise in our team and wider community (including advisors, mentors, partners and startups). We seek to replicate the role of our customized incubator for our investment portfolio companies by offering support ranging from advisory (on strategy/ operations), connections (to potential retailers/ brands/ manufacturers) and welcoming them to our community (including interacting with other startups from our incubation or investments). More importantly, our investment platform is set up as an evergreen VC backed by the Nan Fung Group that gives us added strength and flexibility in making investments for the future. At the same time, The Mills Fabrica’s unique position gives us the independence to operate and also the ability to collaborate with a wider range of industry partners including many of the leading brands and manufacturers. We believe that being a techstyle-focused, active, evergreen VC gives us an edge to invest in the technology of tomorrow. What then is our investment thesis? The nature of industries experiencing disruption is that trends move quickly and evolve continuously. But if we were to pinpoint specific themes, 3 stand out for us. The first is what we term as new retail model. This refers to technologies or platforms enabling new methods of retail such as digitization of retail or social ecommerce (e.g. like our current incubatee GOXIP). The second are Improvement in materials/ production process/ supply chains -breakthroughs in either materials used in the manufacturing process or in the production approach that result in greater sustainability, cost savings or other efficiencies in the supply chain (e.g. Nan Fung group’s investment portfolio Bolt Threads). 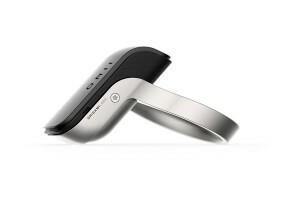 The third is wearable products merging technology with design. Typically these are innovations merged with good design in apparel/ hardware products for lifestyle and health applications (e.g. like our current incubatee ORII). No doubt the landscape will change rapidly in the future, but in the immediate term we see these areas to be the core ones that we would like to invest in and support. Who then would be our ideal entrepreneurs to invest in? We are looking for early-stage startups fund raising anything from seed to Series B, with average investment amounts from $100K USD to $2M USD. Our mandate is global but being a HK-based investment platform we of course would love to support startups with some sort of Hong Kong connection. Beyond the factual mandate, if you ask us who we are really looking to investment platform, the answer always goes back to the entrepreneurs that we believe in. Over the past few years, we have been immensely lucky to have had the chance to work with 8 incredible startups in our incubator and many more entrepreneurs in our community that have taught us so much in the process. Juliette from GOXIP infected us with her energy and can-do spirit. Quinn from EONIQ always impresses us with his clarity and passion in his craftsmanship & work. And Kevin from ORII inspires us with his vision of creating a global lifestyle hardware brand from Hong Kong. We can’t name everyone but the list goes on and on. These techstyle entrepreneurs that we work with are passionate, committed and challenge us in ways that reminding us why we do what we do. With the launch of “Fabrica Fund”, we are especially excited about the future techstyle entrepreneurs whom we would invest in and support. And so, the search is on. The arrival of “Fabrica Fund” will provide us with an additional springboard in our mission to advance the techstyle model. We are excited for the opportunity to invest in the future of techstyle and look forward to working with the entrepreneurs who are ready to join us on this journey.